We are really blessed in Sydney with an innovative cafe culture that provides a wide range of experiences. Some cafes are fusion-trendy, some are gourmet and some do great coffee art. But can you get a cafe that combines all three? The plating is pretty impressive. A warm and delicate wholemeal rose pancake for breakfast! I admit I have had many good brunches in my life and a lot of standard ones. But until Cafe Claire, I did not realise brunch dishes could be so pretty, delicious and not cost an arm or a leg. 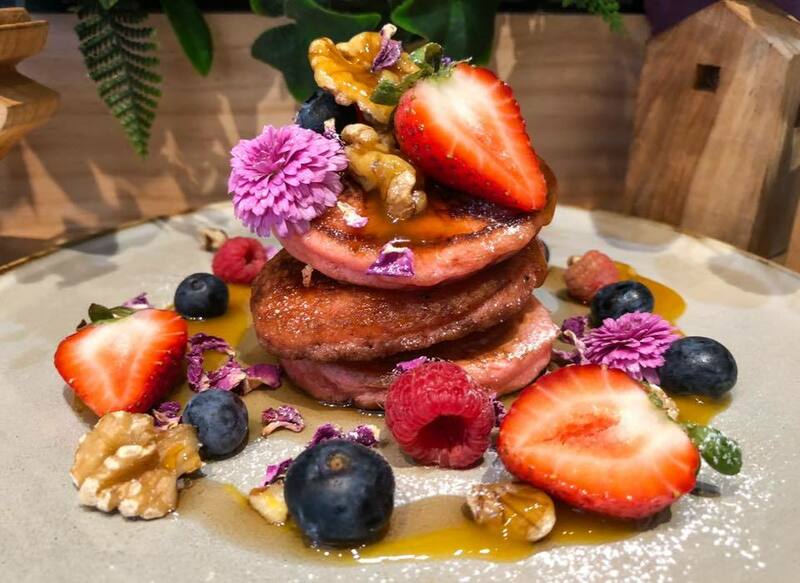 The cafe is located in Young Street in the suburb of Annandale, just off the busy Great Western Highway. It's easy to miss - the front of the cafe is tall and narrow with a inconspicuous frontage. Don't pass it by though, it's worth the visit. The first thing that struck me as I walked in was how tiny this cafe is. I think you can only fit in 6-8 people indoors. It is good they extended their business to the front lawn. 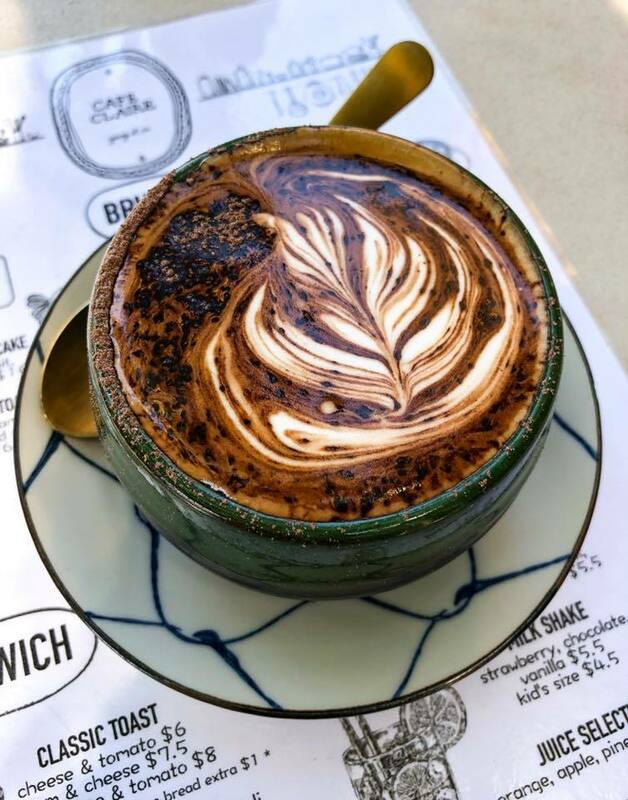 These smaller local cafes are getting popular in Sydney and table space can be hard to find, but people are happy to queue for it. I was excited to find out why. The cafe wasn't overly crowded when we arrived. 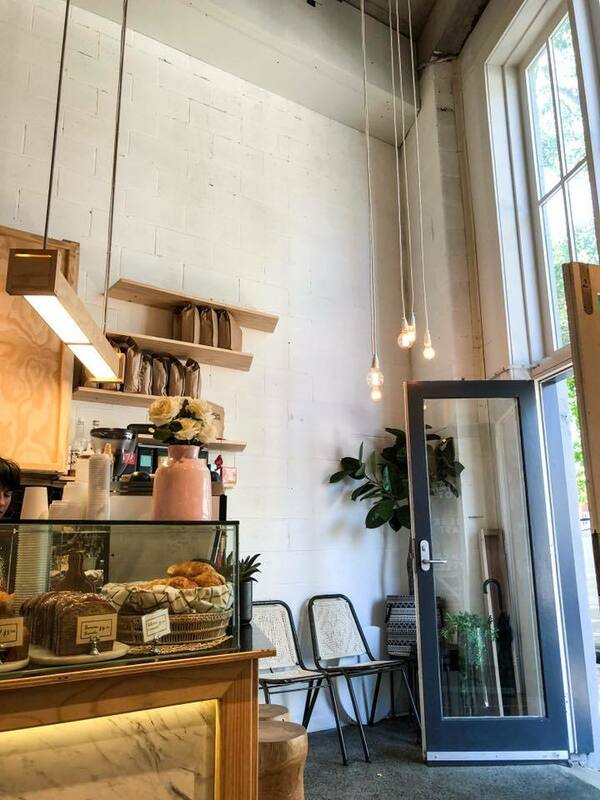 The cafe is small but it has a really tall ceiling, so the atmosphere is airy and light. It all adds to the personality of the dining experience. What amazed me was how the staff can rustle up beautiful creations in a tiny kitchen without any trouble. The so-called 'kitchen' is like a closet space but the staff made it an ultra-efficient work area. I was half-ashamed with my own kitchen, it has a bigger space and is a lot messier. My friend ordered a coffee and I must say the coffee art was stunningly gorgeous. The coffee art was perfectly poured and you could tell the barista really paid close attention to every detail of their coffee. This must be one of most delicate coffee arts in Sydney. My friend was very pleased with her strong and creamy coffee. 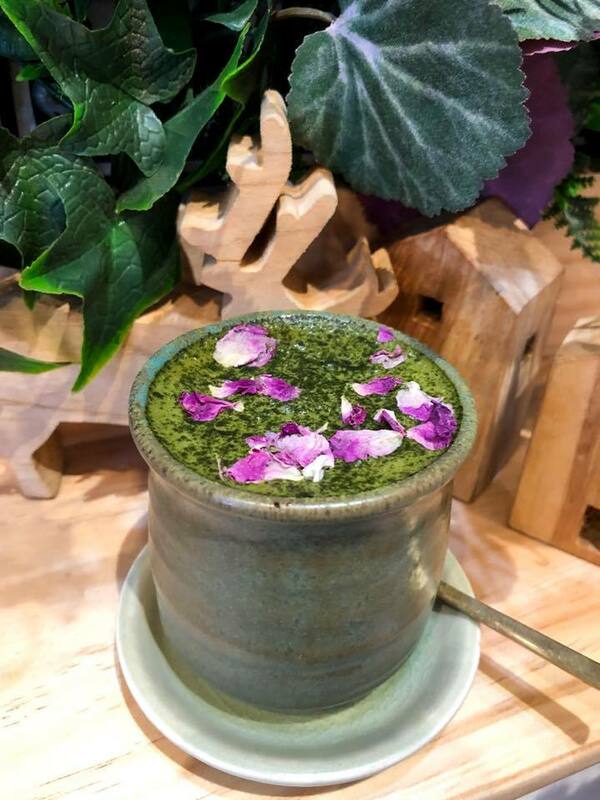 I ordered a green tea latte and I was in awe of how beautiful my drink came to be.They added feminine rose petals on top of my green tea latte and somehow it just made me smile. The green tea was not too strong but good enough. I heard the food was delicious too. 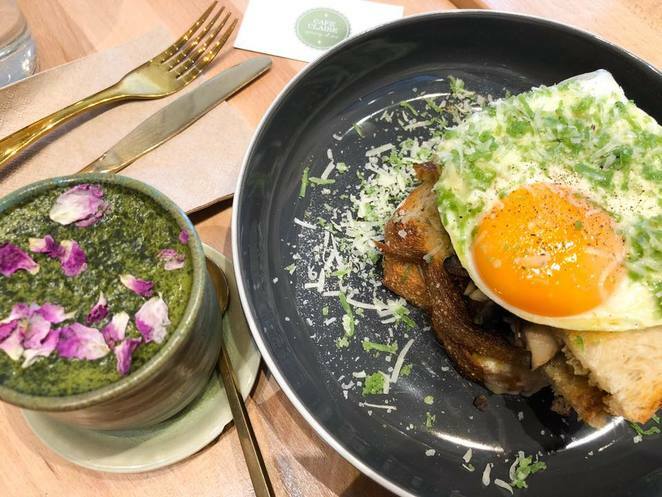 The owners of Cafe Claire take great pride in the quality of their dishes. I ordered one of Cafe Claire's breakfast specials: the triple mushrooms sandwich. The name sounded plain but the taste was very elegant. 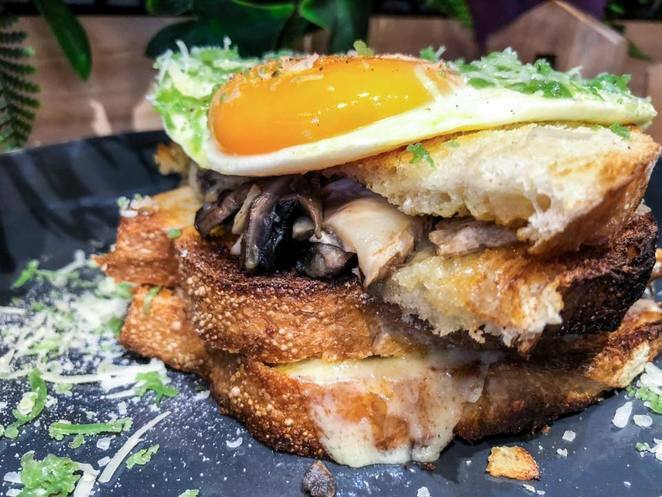 The sandwich was infused with aromatic truffle oil, grilled mushrooms and topped with a sunny fried egg and green cheddar cheese. This humble toastie did not disappoint, the wonderful flavors of cheese and truffle mushrooms was simply delicious. This was probably my favorite dish of the day. It was exceptionally yummy. We could not resist ordering the signature breakfast dessert. The wholemeal rose pancake we ordered was beautifully plated. 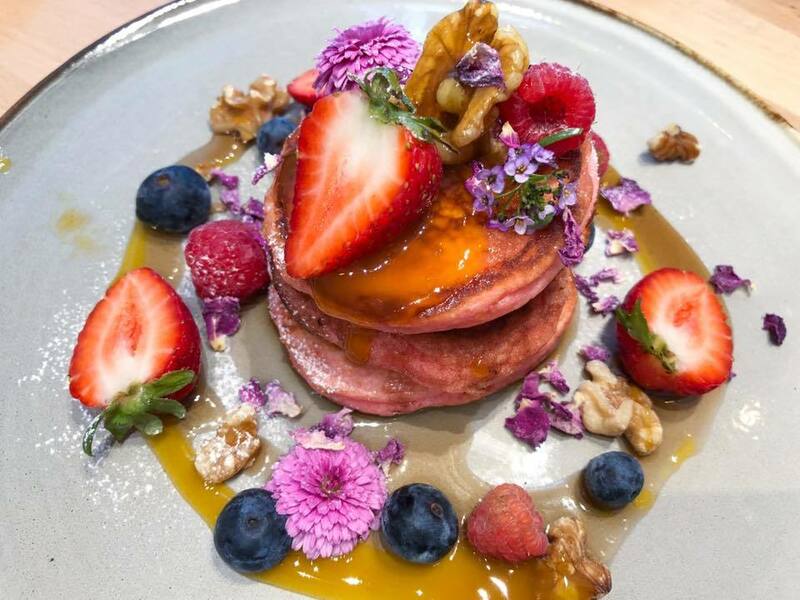 It was topped with fresh blueberries, strawberries, walnuts and edible flowers on top of three light and fluffy rose-coloured pancakes. The caramel maple syrup was finger-licking addictive. It was just the right thing to order for sweet tooths like us. Come in for beautifully presented and tasty Cafe dishes! 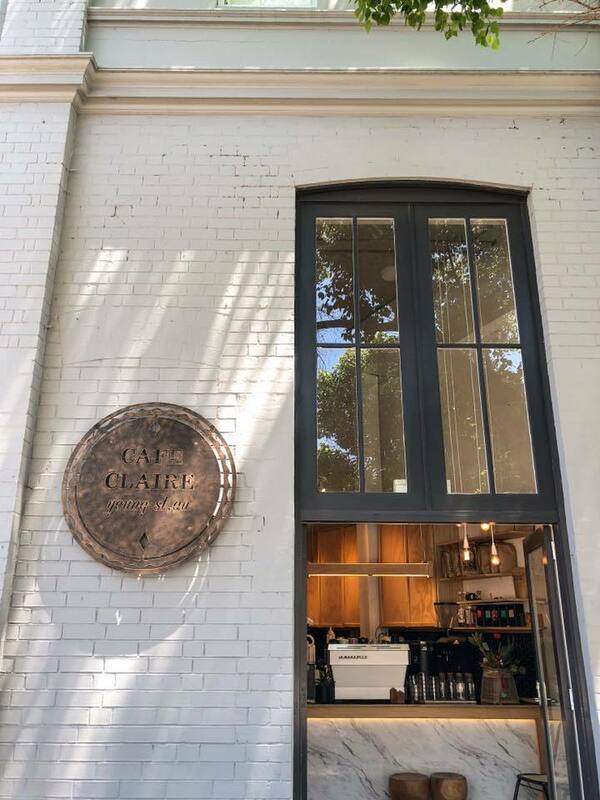 Cafe Claire is the cozy place to relax with a freshly brewed coffee and a great selection of food inspired by its passionate chef and owner. Try to avoid the weekend as it is really popular with nearby Sydney University students. Those pancakes look scrumptious. I haven't had rose pancakes before. Might have to pop over and try them.